At Clutter Busters Mini Storage, we provide a great option for storage in the Charlotte, Mint Hill, Concord, and Midland areas. 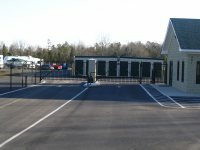 We are a state-of-the-art self-storage facility that offers affordable, secured, and well maintained units of various sizes designed to solve your storage problems. Many times, our clients need additional space due to space requirements, spring-cleaning, or have just had enough of that messy garage. 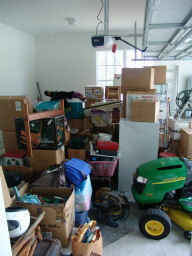 If you are moving, storage is likely to be as much a part of your moving experience as cleaning or packing. You'll need storage if your new place isn't as big as you thought it was, or you won't be able to move in as soon as you thought you would. Too much stuff? Let us help! our fence and at very reasonable prices. Our property provides security by employing surveillance cameras, a computer controlled gate with coded entry access and exit, and perimeter fencing. 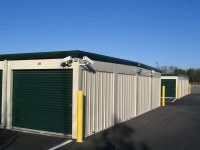 self-storage unit, seven days a week, from 6:30am to 9:00pm. Our safety features will help to keep your possessions safe, and give you the piece of mind you need.